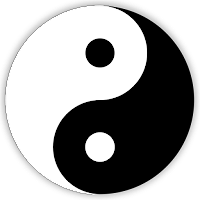 Confucius apparently didn't like staring at his inner eyeball quite as much, instead he looked outward at society, at family and political relationships. He developed the ideas of harmonious living, of fulfilling your role in society as best you can, whatever that role may be. Virtue should be cultivated, vice avoided, and life should be lived in accordance with the Tao, the proper Way. Of course, many in the West scoff at the over-quoted proverb that represents a problem of this belief: "The nail that sticks out must be pounded in." Confucianism has arguably led to a culture in the East that suppresses individuality and the freedom of choosing your own path. But there is some wisdom in remembering those who brought you into existence, of trying to find peace within your family and community, and of trying to live a harmonious and virtuous life even if your job isn't exactly what you hoped when you were 6 years old. 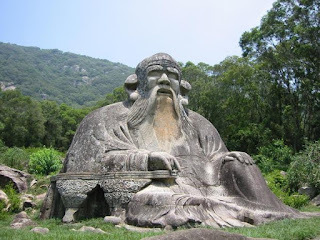 Lao-tzu lived around the same time. He was one of the first to posit my favorite theme in all of philosophy: that the true answers of existence lie in contemplation of the natural world. I think this theme is self-evident when one stands in awe under a crazy brilliant desert sky night, atop the Grand Canyon during sunset, or under the primordial power of Iguazu Falls. There is something in nature that nourishes the spirit and puts us in touch with that "spark" that can only be called Something Greater. In the span of 100 years, the 3 sages of the East and Greeks of the West awoke a thirst for true knowledge... a thirst that every modern human uncertain about "God" is both cursed and blessed with.